Some days when I’m at work, I sit at my desk and stare off into the distance (or the wall of my cube) and picture myself as a professional/full-time food blogger: in this fantasy, I am home in my ‘imaginary’ kitchen, and the sun is shining on my brand new stainless steel appliances and granite countertops. I am ready to try a new recipe, and I have all of my ingredients perfectly laid out on the island, each measured out in their own little bowls. I take my time mixing and mashing and whisking, and retire to the living room to watch Barefoot Contessa while it’s cooking (because ya know, it’s ‘research’). And then it’s ready! It looks like a picture from Bon Appetit, and tastes even better! And the best part is that I have all the time in the world to photograph this masterpiece during the time of day when the natural light is the best and I can style my little head off for hours, because heck, it’s my job to do so. What a life! In reality though (I don’t really work with TPS reports sillies), after rushing home from work to let Hairy out, I usually am still am missing about 5 of the ingredients that I need for the night’s recipe, and as summer is dwindling down, so is the amount of daylight, and it’s a race against the clock to try to get anything done in time to photograph it in ideal lighting. What’s this tangent all about? Along with many delicious recipes that I have felt are worth sharing, tonight’s was one that lost the ‘natural light’ race, and instead of being shot in a beautiful beam of sun filtered through the window, it was shot in the soft glow of an IKEA lamp (ew). But, this Honey-Beer Pizza Dough was too good not to share. 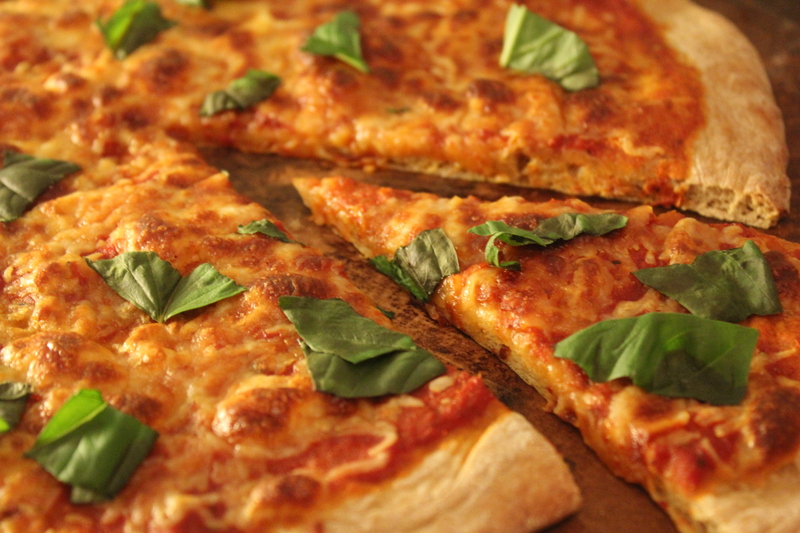 Adapted from Girl Versus Dough’s recipe (and by adapted, I mean adding a splash of honey) it was a flavorful base for your favorite pizza pie! 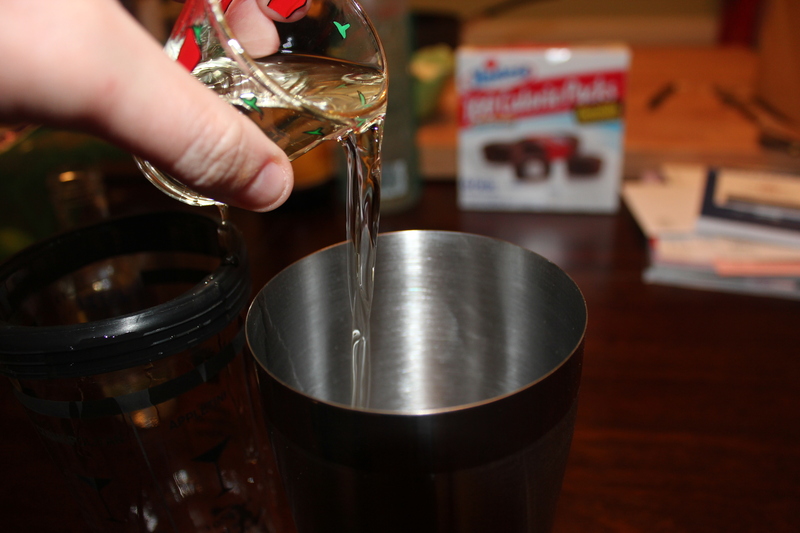 1) Place all ingredients in the bowl of a stand mixer fixed with a paddle attachment and mixed until just combined. Replace paddle attachment with dough hook and knead dough until smooth and elastic, about 7 minutes (or knead by hand on a lightly floured countertop for about 10 minutes). Form dough into a ball, place in a lightly greased bowl, cover, and let rise until doubled, about 1 1/2 to 2 hours. 2) Preheat oven to 500 degrees. Remove risen dough from bowl and punch down. 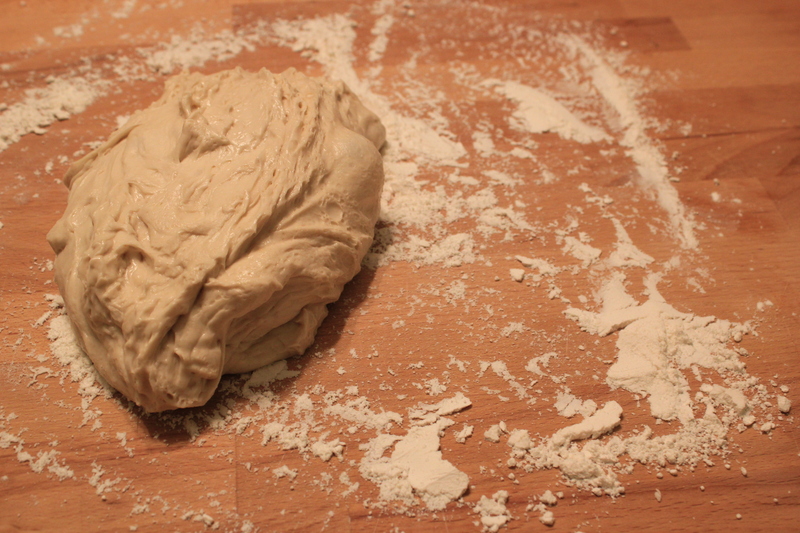 Shape dough into a 10-12 inch round or 8-by-12 inch rectangle. Place onto pizza stone or parchment paper-lined baking sheet. 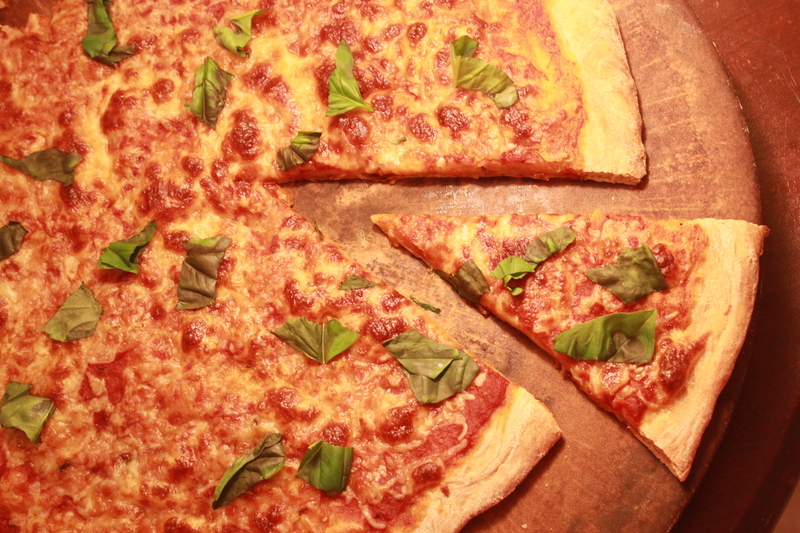 For thin crust, bake pizza immediately. 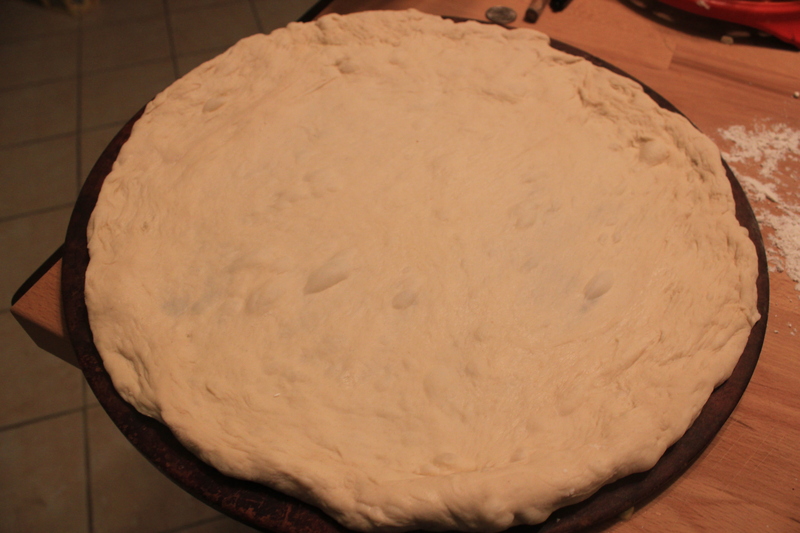 For medium to thick crust, let dough rest for about 30 minutes. 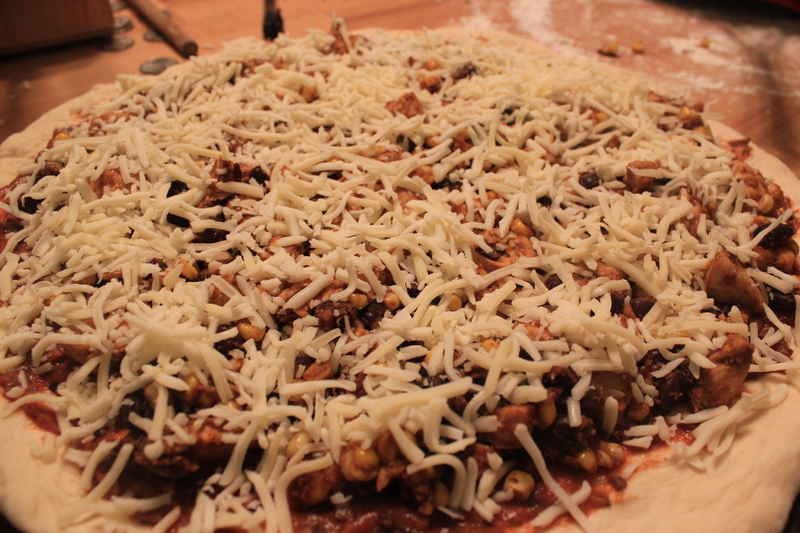 3) Add your toppings and bake for about 10 minutes (or until cheese has reached desired level of meltedness). 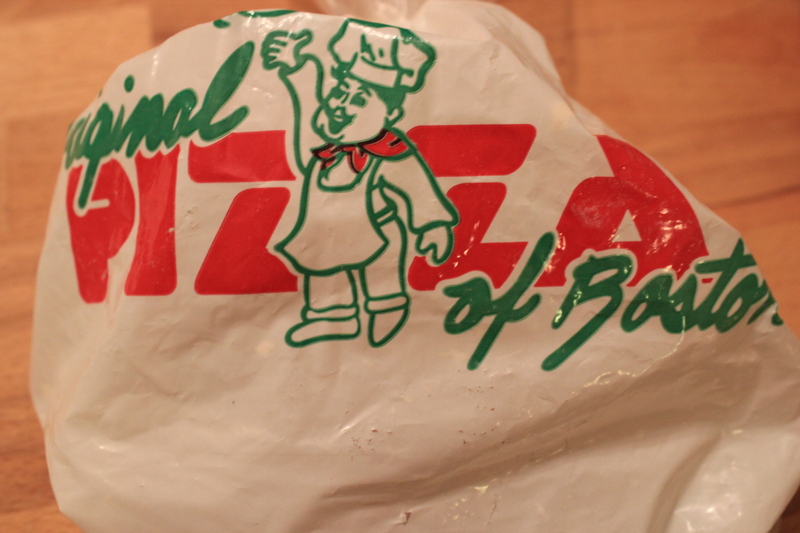 So at about 10 p.m. when this bad boy wrapped up, I sampled a sliver and the dough was so good. The porter added a ton of flavor I think I would even add more honey next time. I was timid with it because I didn’t want it to be too sweet, but it could definitely use more. I personally like that little hint of sweetness. Tomorrow’s daydream: Martha comes over for lunch – and we talk recipes – and maybe some stories from the clink. Disclaimer: The photo is not an ‘ATCHEA’ original (funny – I just realized the abbreviation for ‘And They Cooked Happily Ever After’ sounds like a sneeze) but this recipe IS! Well, original in the fact that I didn’t follow the Loaded Baked Potato Pizza recipes online, and just flew by the seat of my pants in putting it together. I really love taking photos of the finished product but honestly, this got eaten so fast, there was no time to snap a picture! And it was just too good not to share. I know I’ve mentioned that Dave and I make pizza on a regular basis, and while it’s usually kept simple, from time to time we really like to switch it up. Last night, my parents came over to meet their new ‘grandpuppy’, and pizza and salad were on the menu. But I wanted to try something different for a change. I have had Baked Potato Pizza at some pizza shops, and have always had it in the back of my head as a combination that I would like to try, and tonight folks was the night! Little bit of work compared to your standard cheese and pepperoni, but well worth the effort – promise. 1) Cook your potatoes first. Season with salt and pepper, lightly coat with olive oil or cooking spray, and bake in a preheated 400 degree oven for about 15-20 minutes, rotating once so that they don’t burn on the bottom. Set aside. 2) Cook your bacon to desired consistency. I personally like it a little crunchier, especially when chopping it, but it’s really your preference. Set chopped bacon aside. 3) Mix the sour cream and chopped chives together. Season with salt and pepper. 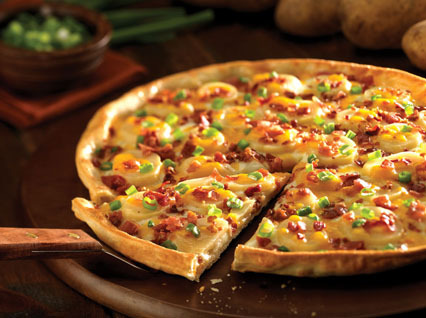 4) Roll out your pizza dough – layer the sour cream mixture, cheese, potatoes, bacon and chopped green onions. 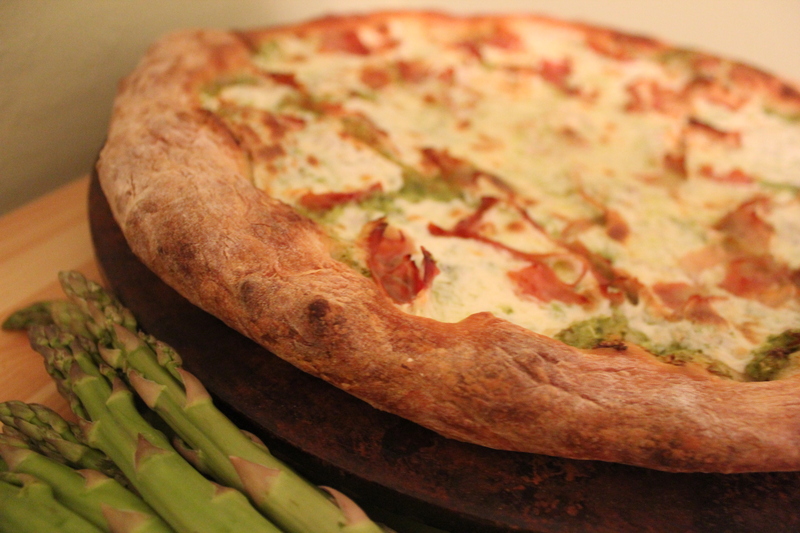 5) Bake in a preheated 500 degree oven for about 10 minutes, or until pizza reaches desired level of ‘cookedness’. Honestly, I don’t pat myself on the back much, but this was SO good. If you’re a lover of a loaded baked potato or potato skins, this is a great way to make a meal out of your favorite side dish. Pizza is one of my favorite things in life, and always has been. I would like to actually shake the mans hand who invented this ingenius creation of sauce, cheese and crust. Really – I might hug him (or her). It’s always a crowd pleaser – you can eat it plain – you can add toppings – you can make it thick – you can make it thin – you can make it circle – you can make it square. There’s really not much that you CAN’T do with it! 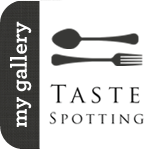 It may be one of the most versatile foods ever. A few years ago for my birthday, Dave’s mom bestowed upon us our very first pizza stone and I never knew how much a slab of stone could change someone’s life until this moment. We would make pizza on a cookie sheet or basic pizza pan, and it always tasted good. But the stone – the stone! OMG! Then we started to experiement with different crusts, finding one that was our favorite, and then Dave started getting really fancy doing things like ‘priming the dough’ to make it rise perfectly and have the perfect balance of crispiness and softness, the way the professionals do it. Our version of ‘priming’ involves sticking the dough in a trashbag submerged in warm water in the sink for about a half hour – I’m sure there are better ways to do it, but if you’re in a time crunch it works very well! Otherwise you can just leave the dough out for a few hours, and let it get big and puffy (very professional terminology here :)) It really does make a difference! We love the basics – margharita, pepperoni, maybe a meat lovers if we’re feeling adventurous. But this idea for a new kind of pizza came to me, inspired by this great recipe I got from Picky Palate for Spinach Dip Bread Bowls. YUM. Perfect appetizer for anyone looking for a new one to throw into the rotation. 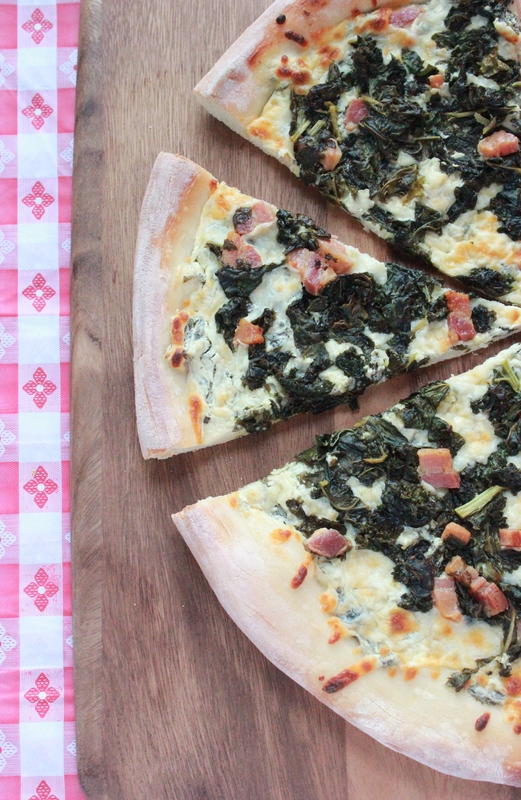 I decided to swap out the Spinach with Kale and use the dip as the ‘sauce’ for the pizza (sounds sinful I know) and then Dave suggested adding yet another twist to this already seemingly twisty pizza – big chunks of crispy pancetta. Yes. We went there. And it was awesome. 2) Prepare your dip: Heat 2 tbsp oil in medium skillet over medium heat. Cook and stir 2 cups of the kale until wilted, about 3 minutes then add garlic, cook and stir for another minute then turn heat off. Place cream cheese, sour cream, cooked kale and garlic, parmesan cheese, garlic salt, salt and pepper into a medium bowl. Mix until well combined. Set aside. 3) Heat the other tbsp. of oil in the same skillet you prepared the kale in over medium heat. Cook the chopped pancetta in the skillet until crispy (about 3-5 minutes depending on how small it’s chopped) At the very end, right when the pancetta is about done, take the other 2 cups of chopped kale and place in the skillet with the pancetta, allowing it to wilt just a little (about a minute) It will cook more in the oven while the pizza is baking. 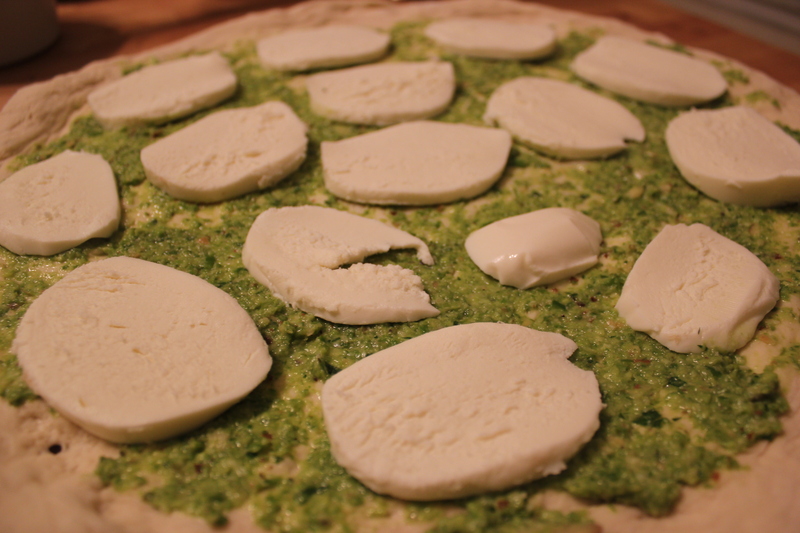 4) Assemble your pizza: roll out your pizza dough and place on the stone (or baking sheet). 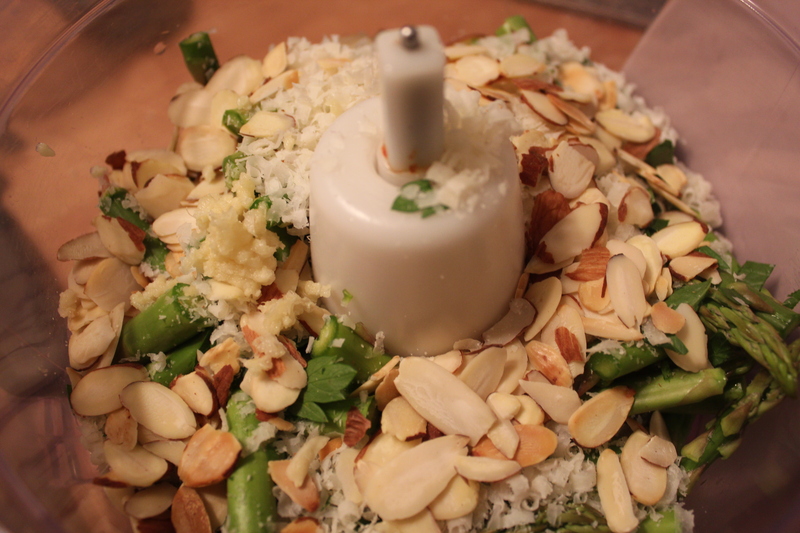 Layer the kale dip, then the shredded cheese, and then the kale/pancetta mixture on the top. Cook in preheated oven for about 10 minutes until cheese becomes golden on top. Wowie Wow Wow Wow. Good stuff guys! The kale and the pancetta worked so well together – kale can be a little bit on the bitter side, but the saltiness of the pancetta really balanced the bitterness out. 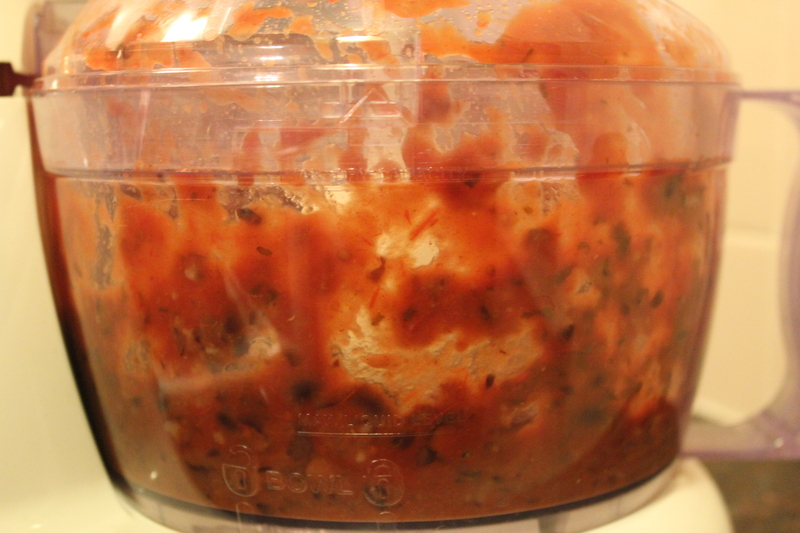 And the creamy kale dip base was such a yummy departure from your standard red sauce. So good! 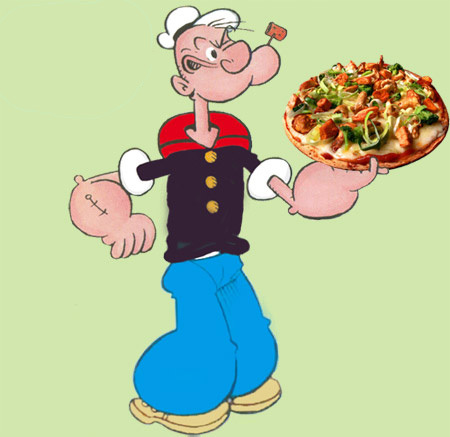 I think even Popeye would swap his spinach for kale and put it on a pizza – that’s how good it was. 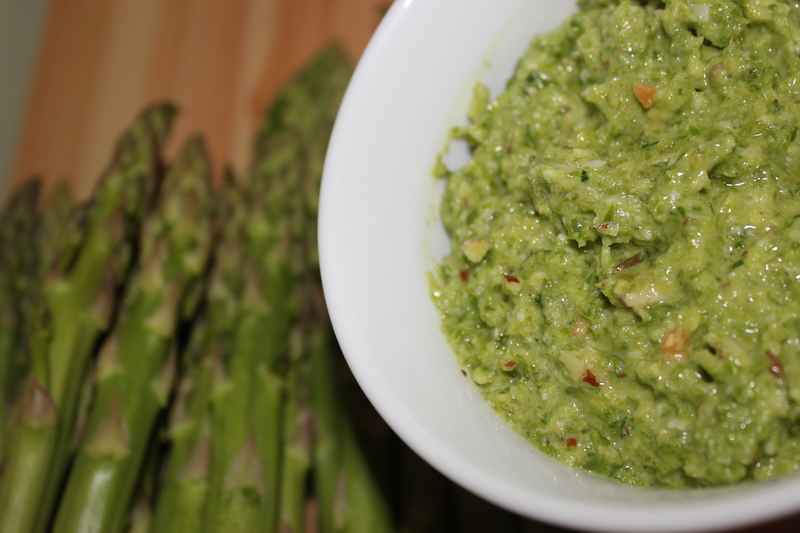 I stumbled apon the most interesting looking recipe for Asparagus Pesto from The Galley Gourmet. We love asparagus, probably eat it at least once a week – and while I don’t love the funny smelling pee that follows, it’s definitely worth it! So I was really intrigued by this recipe, as I couldn’t really picture the taste of it in a pesto. And then I thought of those cute little Asparagus bundles, maybe you’ve seen them – a few spears of Asparagus wrapped by a piece of yummy prosciutto – mmmm….a great combo. 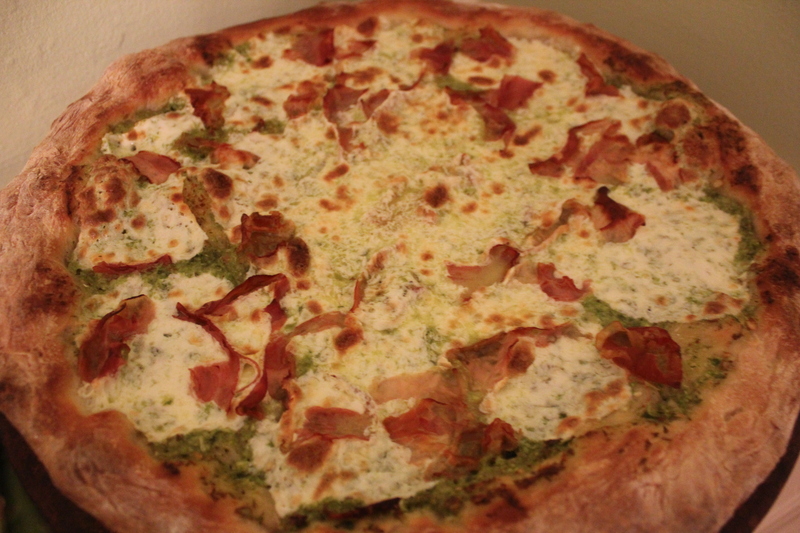 There are 2 things we love to put on pizza – one of them is prosciutto and the other is pesto, so what could be better than asparagus pesto on a pizza accompanied by prosciutto and mozzarella? It’s a match made in heaven! 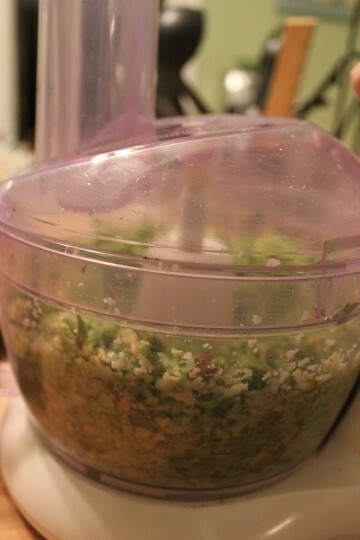 1) In the bowl of a food processor, process all the ingredients into a thick consistency. 2) Season to taste with more salt and pepper if needed. 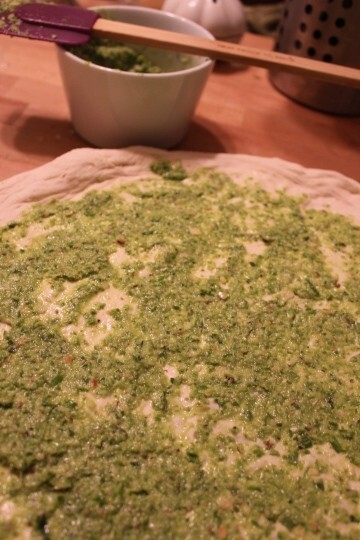 1) Roll out your favorite pizza dough (ours is this – a must try for Boston-area peeps! Preheat oven to 500 degrees. 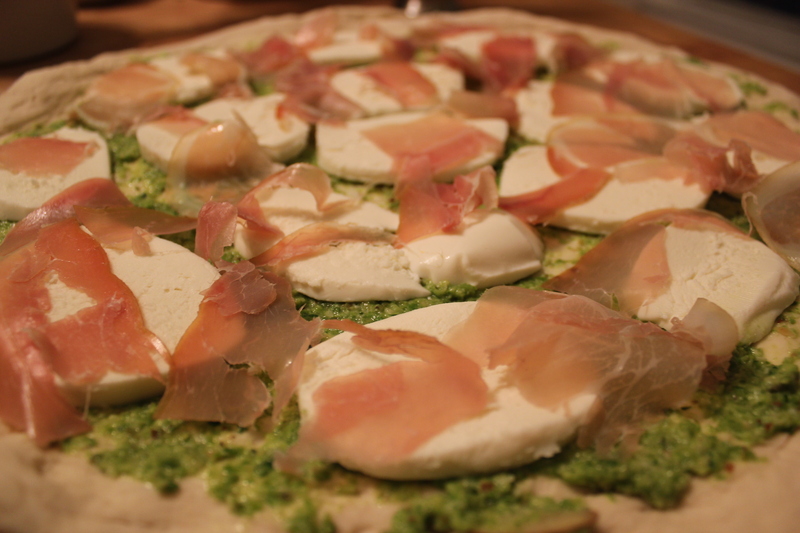 2) Assemble layering pesto, mozzarella cheese and then prosciutto on the top. 3) Bake for about 10 minutes, or until you’ve reached your desired level of done’ness. To each his own! 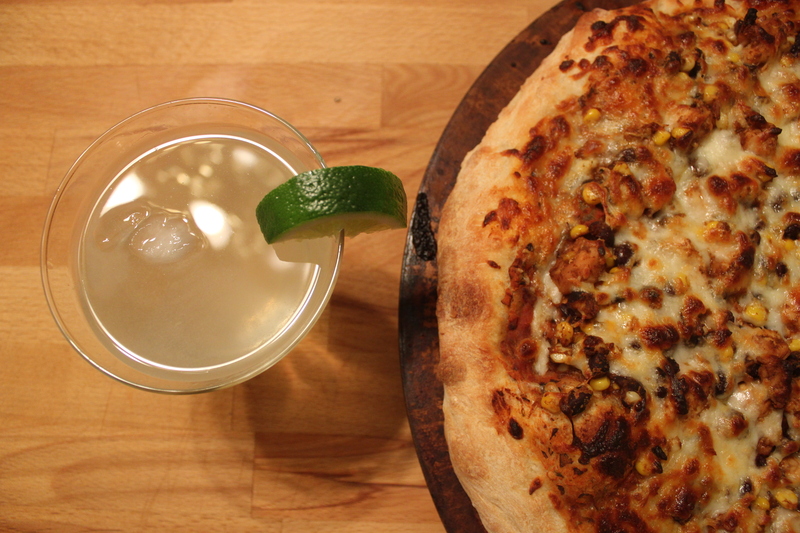 Thirsty Thursday Drink Series: ‘Stanley Cup’ and Mexican Pizza? Yes please! 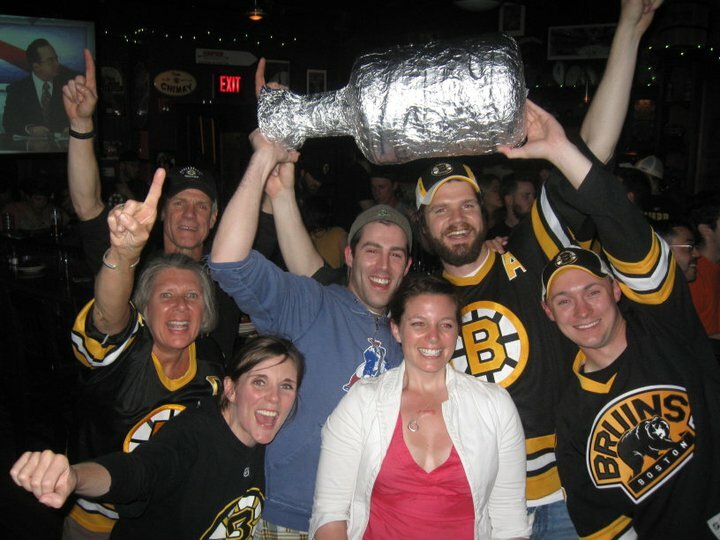 This Thirsty Thursday is a special one – the 2011 Stanley Cup Champions, the Boston Bruins are playing their first playoff game of the 2012 season in Boston against the Washington Capitals (no need to hyperlink the competition)! Can they do it again? I sure think so! Dave is a ginormous bruins fan – I think his first words may have been Cam Neely – or maybe 2nd and 3rd words. 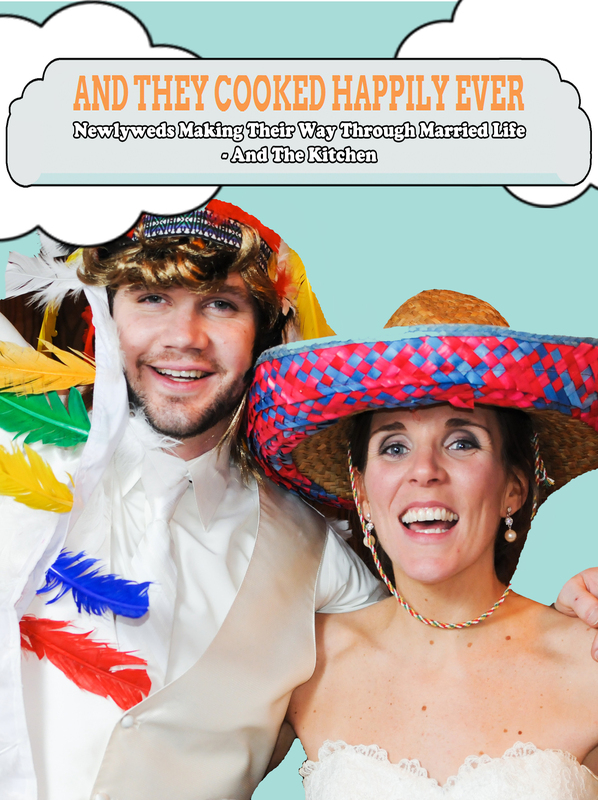 So last year was really special for he and his family, and me being a fan-by-marriage (or dating at that point). There’s nothing greater than seeing a person relish in such joy for a team that they’ve loved and stuck by for years and years of disappointing losing seasons. So tonight, while Dave was at his hockey game, I cheered the Bruins on from the couch (obviously flipping back and forth to Real Housewives during intermission). For kicks, I googled “Boston Bruin Cocktails” and found an article from last June in Boston.com and it featured a bunch of restaurants and bars throughout the city that were celebrating the Stanley Cup win with special cocktails honoring the Bruins. The “Stanley Cup”, featured at Met Back Bay looked particularly interesting to me – and while it listed the ingredients that it consisted of, it did not give the ratio of each, so I was on my own to produce the perfect libation. And what better to serve with a manly cocktail? A manly pizza! 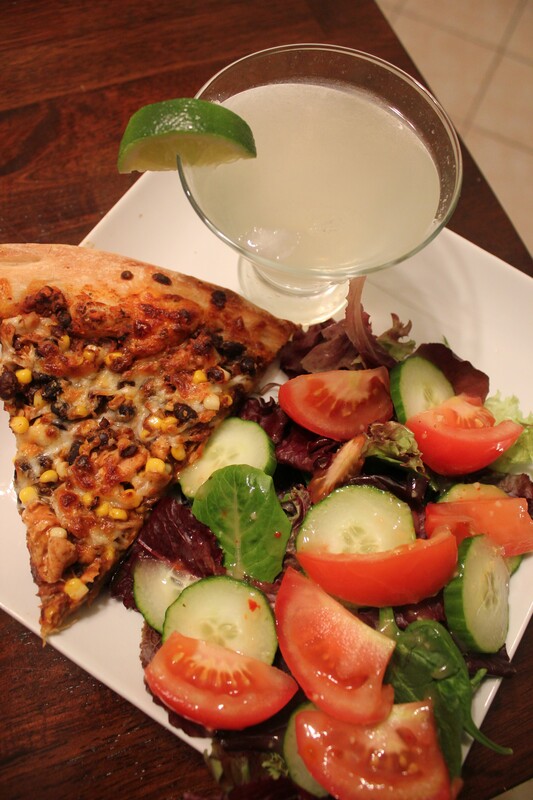 We LOOOOVE making pizza – it’s a once a week meal (sometimes twice) and while we’re usually pretty boring with our selections, tonight I really wanted to shake it up, so I decided that Mexican pizza was going to be the flavor of the night. Oooh. I want these right now…. 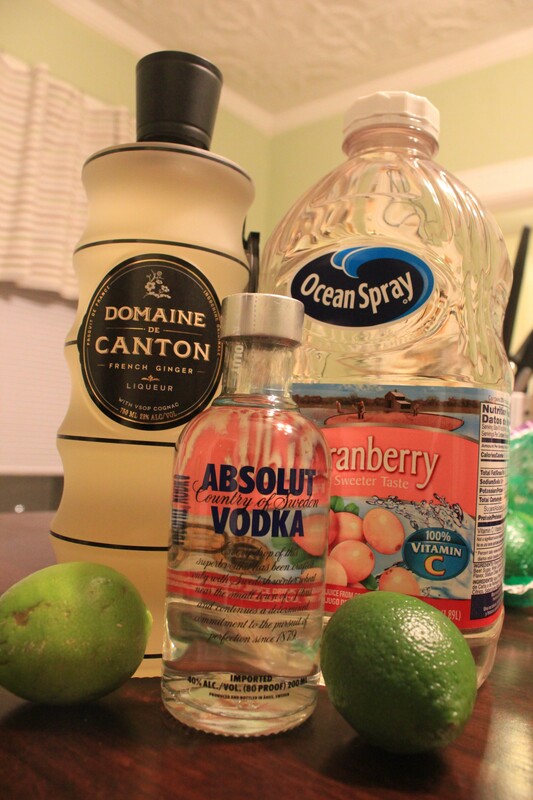 1) Add vodka, white cranberry juice, Domaine de Canton and juice of 1 lime to a cocktail shaker with a couple of ice cubes. Shake for about a minute, until foamy. 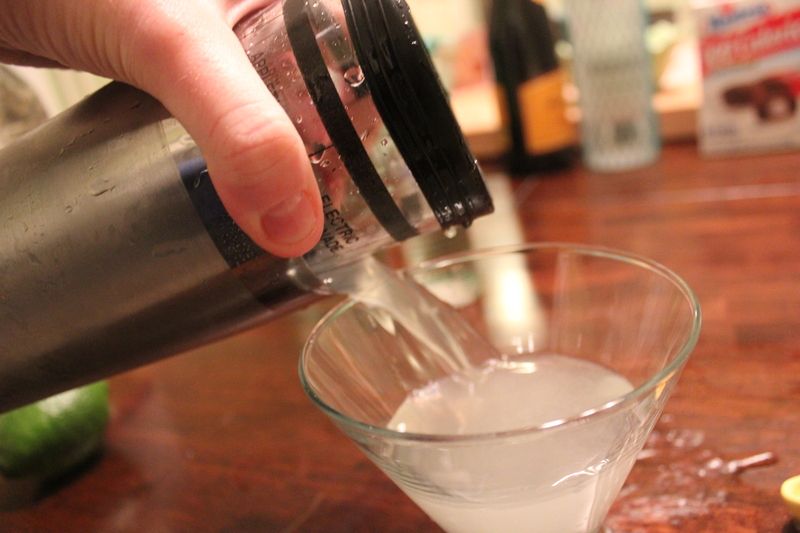 2) Serve in a chilled glass (perhaps a manly pint glass vs. a girly martini glass). 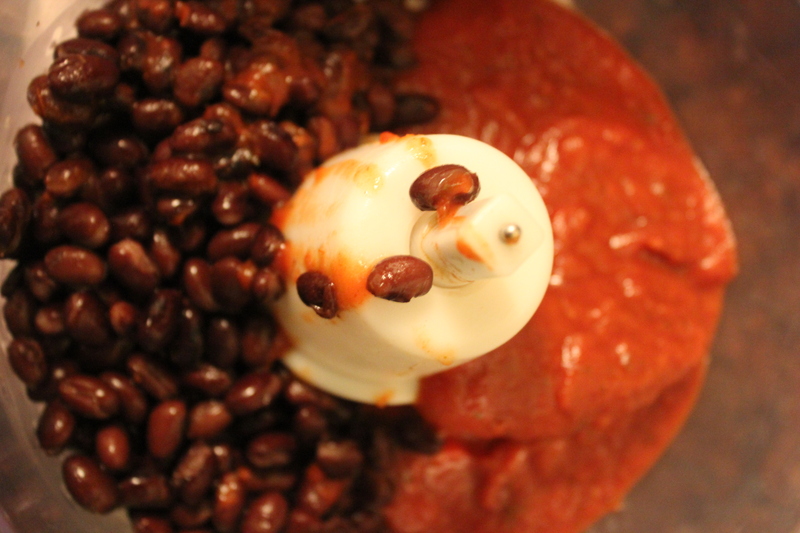 3) Take 1 cup pizza sauce and 1 cup of black beans and puree in a food processor til’ combined. Season with salt and pepper. Set aside. 4) Chop chicken tenders into small pieces (1/2″-1″) and cook over medium heat in a sauce pan with minced garlic until cooked through. 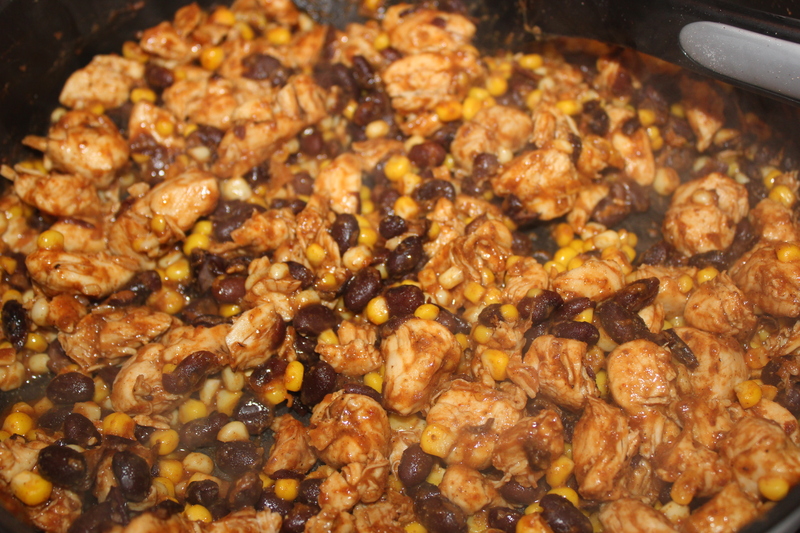 5) To the cooked chicken, add the other cup of black beans, cup of corn, cumin, chili powder, and juice of 1 lime. Season with salt and pepper. Cook until all the spices have combined (about 5 minutes or so). 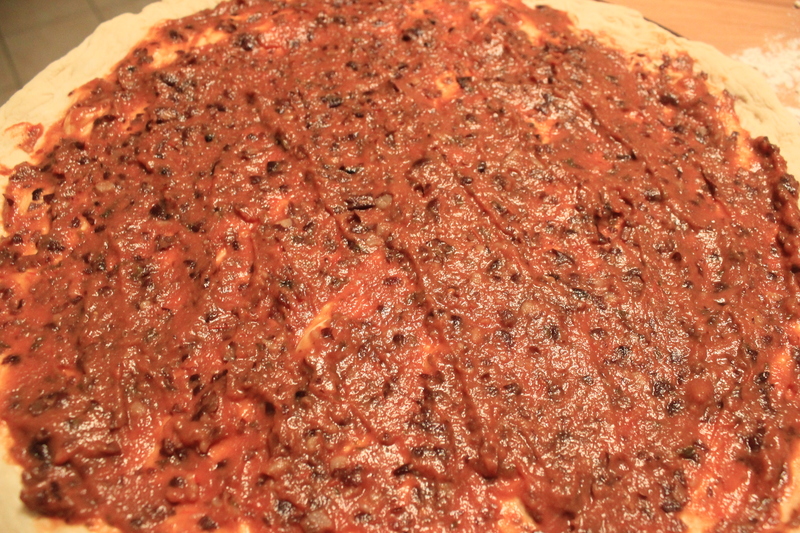 6) Spread the pizza sauce over the dough. 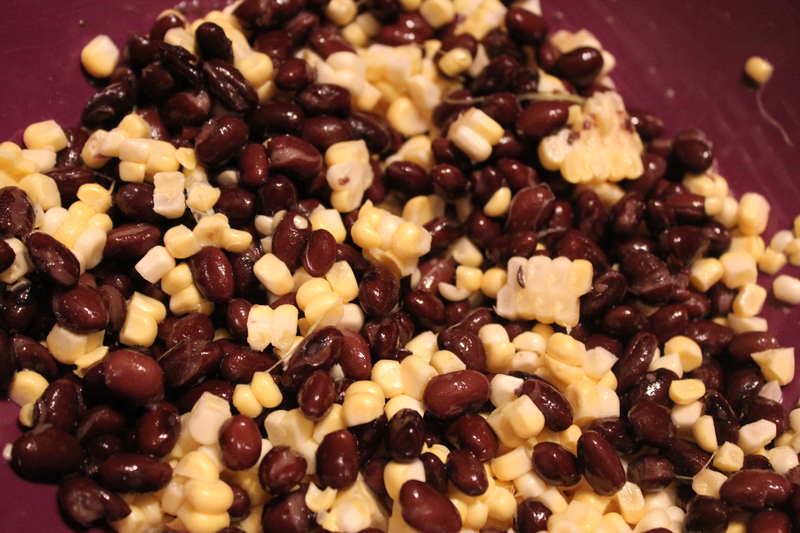 Then add the chicken/black bean/corn mixture to the top of the sauce. The sprinkle the cheese over the top. 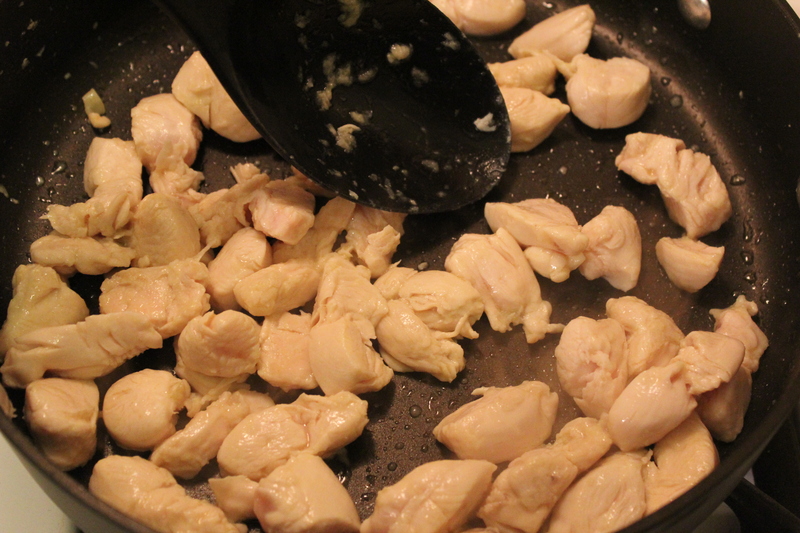 7) Cook for about 10 minutes or until you’ve reached desired level of golden-bubbliness. Even though I had to indulge in this meal alone, it was so delicious. The Stanley Cup is a light and refreshing drink, reminiscent of a cosmo, but the Domaine de Canton gives it a little more zip – and you know I love zip! 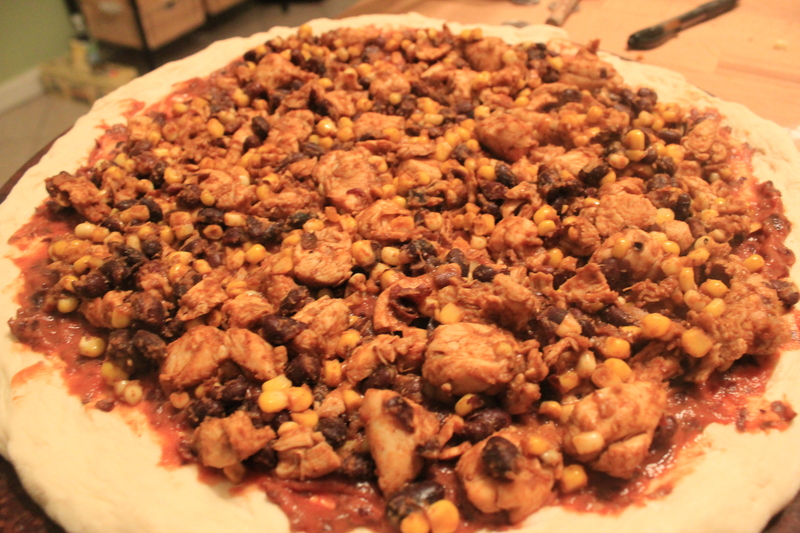 And the Mexican Pizza, while I am not a horn tooter – SO GOOD! Like a delicious taco on a pizza. 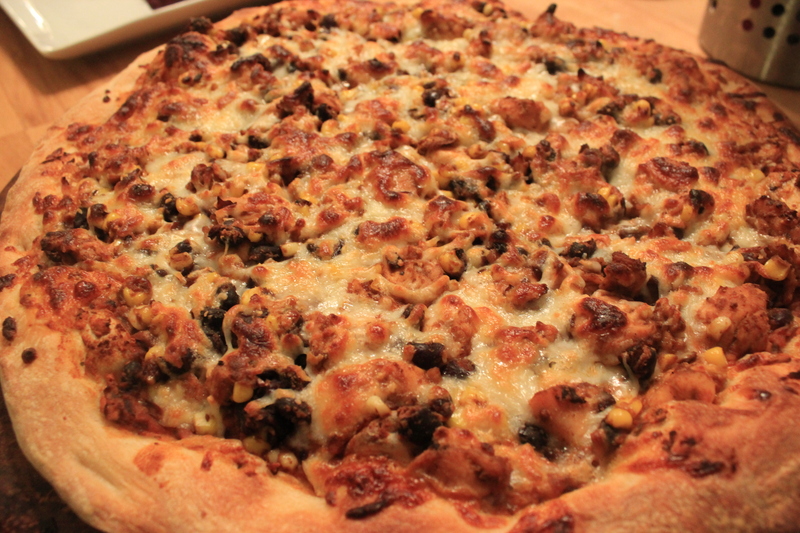 The mixture of the black beans with the pizza sauce just really punches up the flavor of a plain old pizza sauce and mixes so well with the other ingredients. So cheers to pizza, the ‘stanley cup’ and to the Bruins who won 1-0 in overtime! Wooooo!